Benicia, the jewel of Solano County. It is said that first word of gold found at Sutter's Mill was leaked at a Benicia Tavern thus starting the Gold Rush. Benicia became a way station on the way to the Sierras. The City of Benicia is a Bay Area City located adjacent to the Carquinez Strait, which is part of San Francisco Bay. 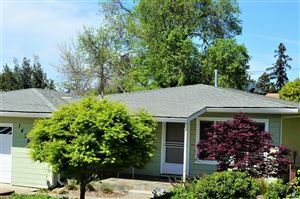 A waterfront City of 28,000, Benicia is known for its small town charm, history and high quality of life. 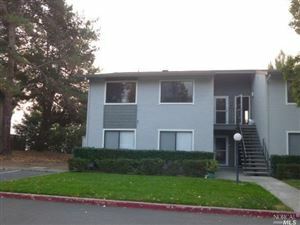 Benicia offers an abundance of leisure and recreational activities. The Benicia Unified School District, a separate entity from the City of Benicia includes four elementary schools, one middle school, one comprehensive senior high school, one continuation high school, and a pre-school program. Well-equipped classrooms and helpful, knowledgeable employees exemplify strong support services. Benicia schools rank first in Solano County in the 2013 Academic Performance Index (API) results with a District base score of 852. In 2015, Nerdwallet.com rated Benicia Unified School District as one of the Best School Districts fro Your Buck in California. Shopping in Benicia is a cosmopolitan, chic, yet relaxing affair. You’ll find the style and fashion of upscale, international shopping for clothing, accessories, shoes, art, antiques, gifts and home decor. Each store offers one-to-one customer service and merchandise found exclusively in boutiques. 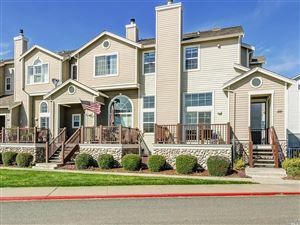 While enjoying a “Great Day” of shopping, outdoor activity or checking out the art scene and historic landmarks, lunch at one of the outdoor cafes or plan a leisurely meal at one of the many interesting restaurants throughout the city of Benicia. Dining choices include classic American seafood, fine dining, ethnic cuisine, hearty diner cooking and casual food. 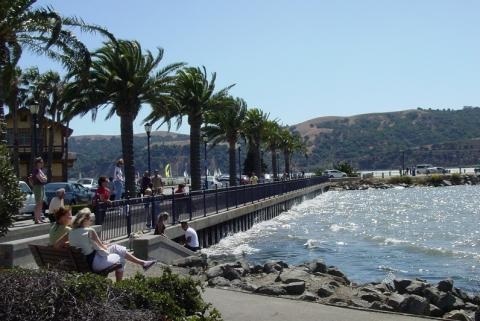 Benicia’s beautiful waterfront creates an air of mystery and romance as you walk along the First Street Promenade and imagine a time when a robust maritime commerce filled the shoreline with bustling activity and a bit of intrigue. Today, Benicia’s waterfront location remains one of the city’s greatest attractions. The shoreline of the Carquinez Strait is the exclamation point to the beautiful, quaint downtown. Stroll the Promenade to the pier for bridge to bridge views and see fishermen, watercraft from sailboats to large ships, kite surfers, paddleboarders, kayakers, outriggers and abundant wildlife. There’s even a dog-friendly beach! And their human friends can get their feet wet, too! Aside from its spectacular vistas, the waterfront area is full of fun things to do, from the Benicia State Recreation Area to the Benicia Marina. Of Benicia’s more than 20 parks, three are along the waterfront so you can enjoy picnicking and fishing. The Alvarez West Ninth Street Park (at West K Street) is a favorite for families and boaters. The park includes a public boat launch, playground, small beach and three kayak/canoe put-ins. The area is also part of the San Francisco Bay Trail System and the San Francisco Bay Area Water Trail.